Using an analytics solution to collect some information on your application usage is a real added value to make it a great application. Of course there are informations available on the market place but these informations are quite limited. You only have access to the number of daily download and the installation base but you don’t have information on which part of your app is most used or the time spent on each page of your application. So here I’m giving the steps required to monitor your application usage with online an analytics services like Google Analytics. 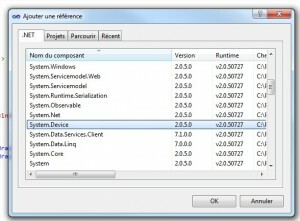 The documentation tells you to but DO NOT ADD a reference to ComponentModel (System.ComponentModel.Composition.dll) !!! Otherwise you will get an error about the type AssemblyCatalog beeing defined in two different assemblies. Add the namespace for “local” (AnalyticsSample: our application namespace), “mwa” (Microsoft.WebAnalytics) and “ga” (Google.WebAnalytics). Add the AnalyticsAppService you defined earlier to the Application.ApplicationLifetimeObjects node. The line must be typed after shell:PhoneApplicationService, the order is important ! Add a web analytics service after local:AnalyticsAppService (again the order is important), replace the “UA-12345-1” with the site id from your Google analytics account. Done ! It takes some time to see the result in Google Analytics. 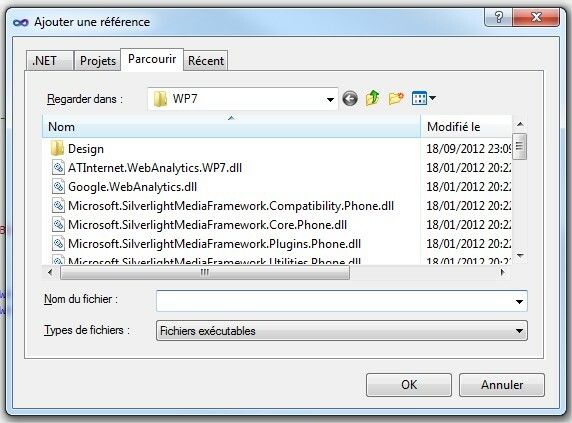 Add a reference to the Microsoft.WebAnaltyics.Controls.WP7 by manually browsing to “C:\Program Files\Microsoft SDKs\Microsoft Silverlight Analytics Framework” with the “Add reference” dialog box. * Bind the SelectionChanged event to the TrackAction behavior from the analytics framework. You can also make these modifications using Microsoft Expression Blend. The PanoramaItem/PivotItem Name or Header (if there is no Name) is then tracked in the event’s ActionValue. I always give “Self” as my object name as I find using “Self” in the binding declaration makes the binding obvious but you can use the name you want. My example is for a Windows Phone application however the same mechanism works for any XAML desktop application. I’m currently working on a small app for Windows Phone. I wanted to add some simples charts to the application and found silverlight contained a charting control. 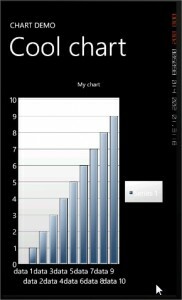 As a reminder for me and as an helpfull example for you, here are the necessary steps to display a simple chart in your Windows Phone Application. 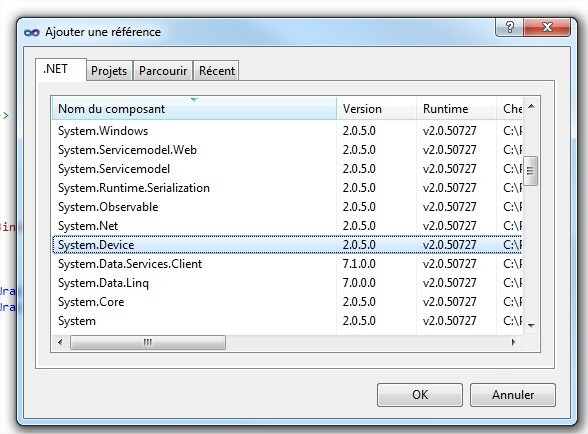 The example below was tested against the Windows Phone SDK version 7.1. Silverlight 3 (not 4 ! not 5 ! ): It’s an old version but unfortunately, newer silverlight versions are not supported. 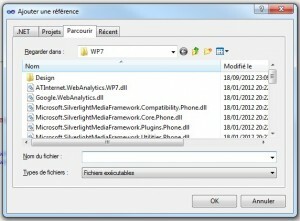 In fact, Windows Phone SDK is build around Silverlight 3 with some addition from silverlight 4.